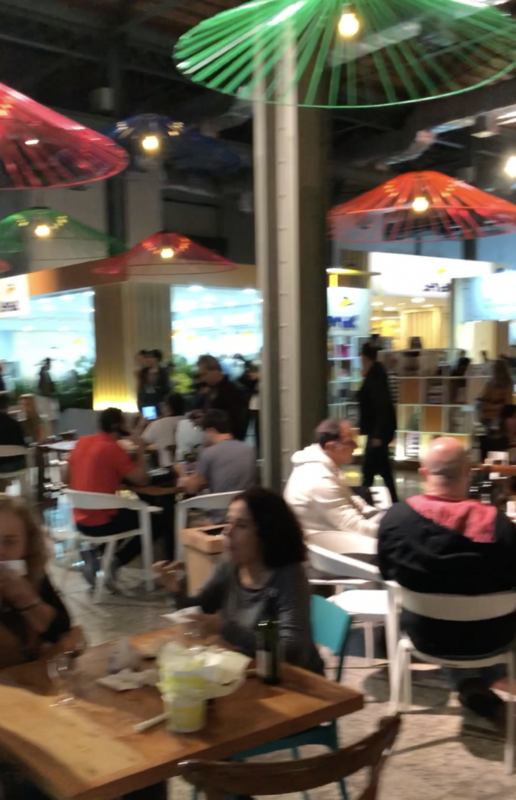 Last weekend we (Lance, David, Sergio and his wife, Viviane, along with a couple of our guests at Casa Cool Beans) enjoyed a visit to the fantastic Rio Gastronomia Festival at Píer Mauá, the port area. It was an amazing experience! Dozens of food booths and food trucks. Samples of some of the best local restaurants and latest culinary trends. Classes and lectures presented almost hourly by top chefs and hospitality influencers from around the city. The setting along the water front, just off of Olympic Boulevard. Phenomenal. The icing on the cake, if you will: a stage featuring DJ’s and live music! David and I both fell hard for the sandwich de pernil (pork sandwich) from Lasai, Chef Rafa Costa e Silva’s Basque-inspired modern cuisine restaurant located in the Botafogo neighborhood of Rio de Janeiro. The accompanying sauce has been added to my “must have list” to go in my coffin. We went back three times! There was booze, booze and more booze…to include one of my very favorite Brazilian brewers, Colorado Cerveja (beer). There must have been several dozen cachaça brewers represented, so with the free flowing samples you needn’t even buy a drink–if cachaca is your poison.